Home of “The Greatest Steaks in the Universe” and the Grand Strand’s Finest “All-You-Can-Eat” Italian Buffet. We offer a full menu as well as two separate buffets, a full list of appetizers, full bar, Earlybird menu, nightly specials and the best and most tastiest desserts on the strand. All of our entrees including the buffet is authentic family Italian recipes with our own personal touch. Come see what everybody is talking about. Our Chicken Marsala is to die for…. Our Steaks are cut on premise and perfectly aged, seasoned and served on a hot, sizzling platter. You will hear the steak before you see it. Try it with our Garlic – Bleu Cheese Butter for a delicious twist. 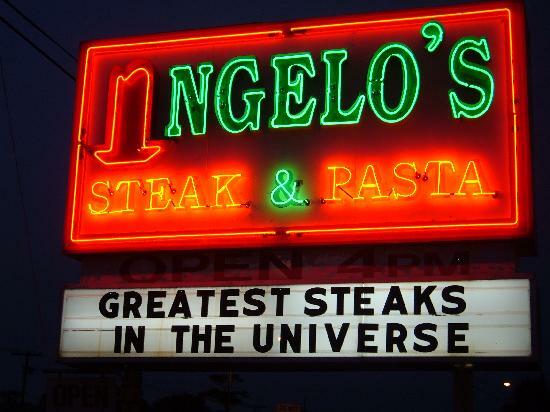 Many original dishes on our menu can only be found at Angelo’s Steak & Pasta in Myrtle Beach, South Carolina. We are located at 2311 S. Kings Hwy., Myrtle Beach. We are open for Dinner daily (seasonal hours) with our Early Bird Buffet from 3:30-6:00 p.m. daily. We look forward to serving you. Individual Dining Rooms for Large Groups Available. Captain George’s is a restaurant that serves a range of food items, such as salads, soups, entrees, seafood, desserts and side dishes. Its seafood buffet features more than 60 items, including shrimp, clams, broiled fish, stuffed mushrooms and fried oysters. The restaurant also provides baked breads, green beans, steamed rice, carrot cakes and puddings. 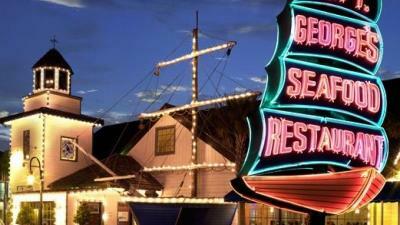 In addition, Captain George s offers children s menu, appetizers and beef specialties. It provides online gift cards, T-shirts, sweatshirts, hats and shot glasses. Captain George s maintains a location in Myrtle Beach, S.C.
Crabby Mike’s Seafood is a world of outrageous, entertaining, fascinating, silly, charming, beautiful, incredibly delicious fun!! Crabby Mike Is an ornery but likable pirate type whose greatest pleasure in life is giving good eats and showing folks a good time – EVEN if he is CRABBY! 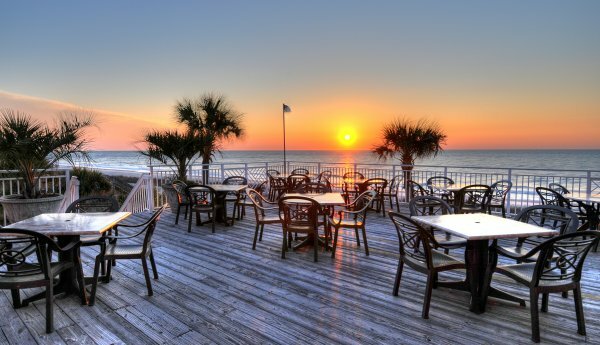 For over twenty three years, Crabby Mike and his staff have been providing a top quality buffet with the freshest foods available, guaranteeing unbeatable service, in an atmosphere and dining experience that will not be found anywhere else along the GRAND STRAND. 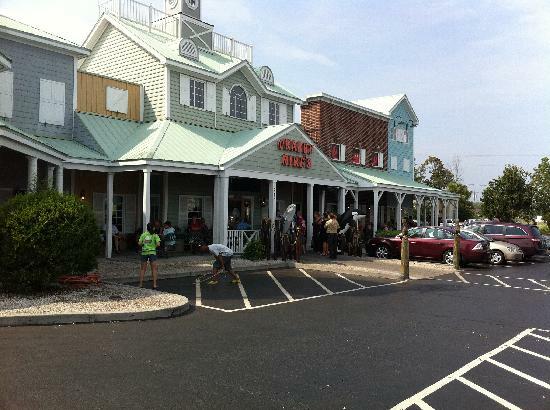 Crabby Mike’s is open 7 days a week at 4PM. We will have special hours the week of Easter – opening at 3:30 PM from Monday, April 14-April 20th. 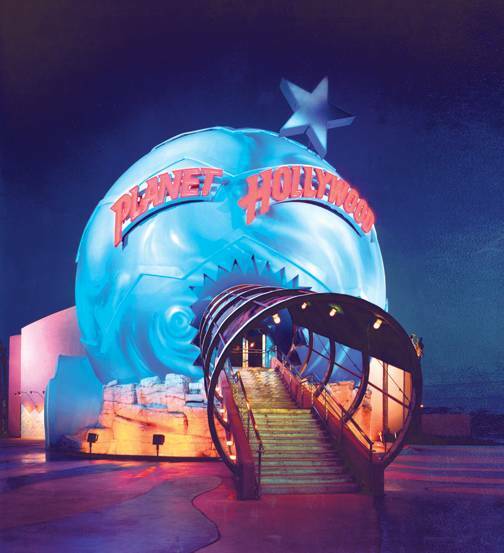 Planet Hollywood, a theme restaurant inspired by the popular portrayal of Hollywood, was launched in New York on October 22, 1991, with the backing of Hollywood stars Sylvester Stallone, Bruce Willis, Demi Moore, and Arnold Schwarzenegger. Rock your next visit to Myrtle Beach with a visit to the Hard Rock Cafe. The Cafe pyramid is a must-see for every local and visitor to the Grand Strand. 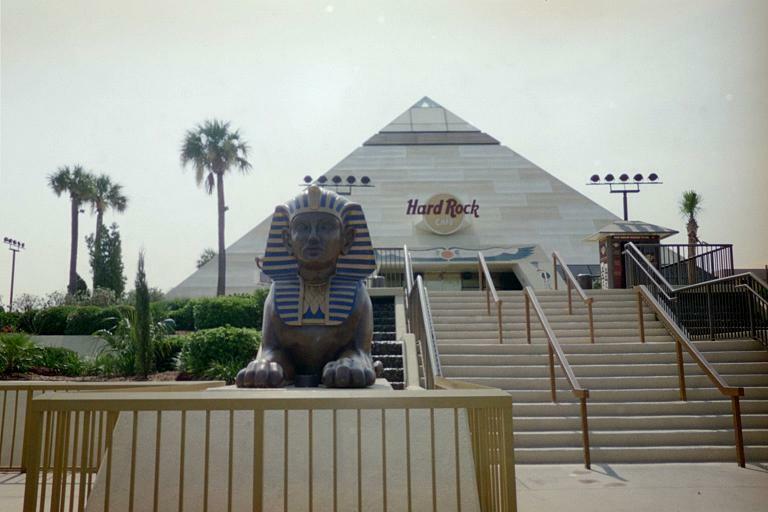 Not hard to spot, the Hard Rock Cafe pyramid stands an imposing 70 feet tall and features an ancient Egyptian-themed motif. Although you’ll be greeted by Sphinx-like statues guarding the entrance, the Cafe menu offers all-American classics like hamburgers and barbecued chicken, along with vegetarian entrees, decadent desserts, and regional favorites. Damon’s International, Inc., is a leading full-service, casual dining restaurant concept that emphasizes prime rib, grilled steaks, chicken, seafood, salad and Damon’s award-winning ribs. Guests enjoy a quiet dining room or Damon’s high-energy Clubhouse that features DTV, a proprietary, state-of-the-art multi-screen entertainment system offering sports, network programming and interactive games.